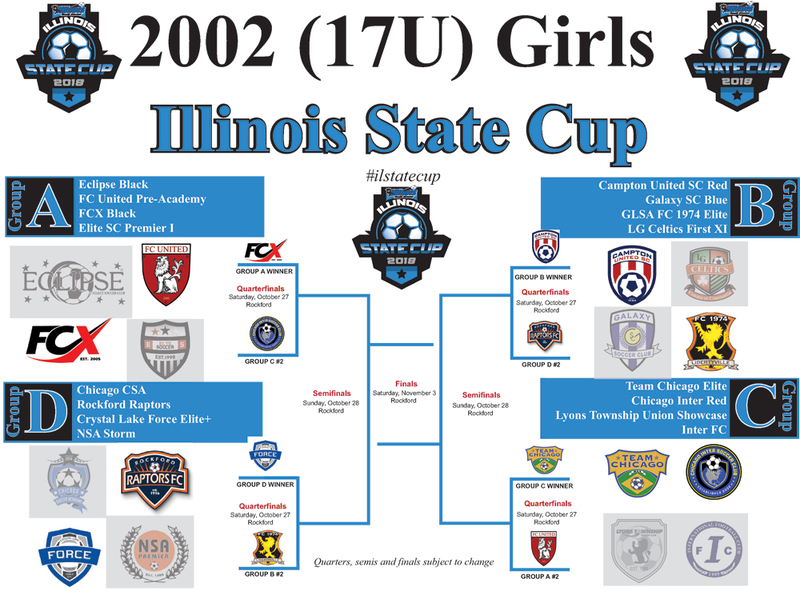 Over 150 teams from throughout the state started the Fall season with the goal of winning a State Cup, Presidents Cup or Illinois Cup championship. 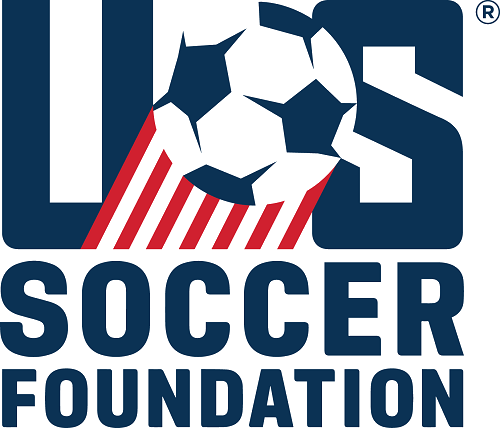 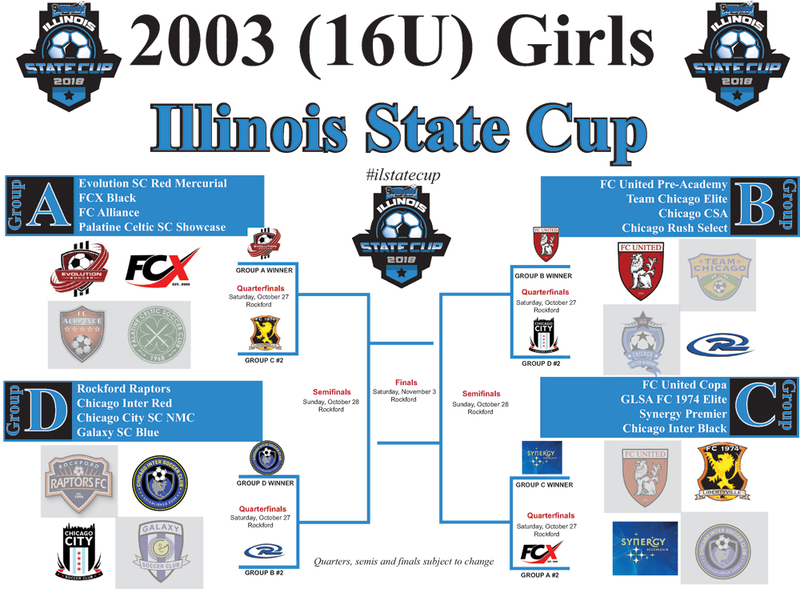 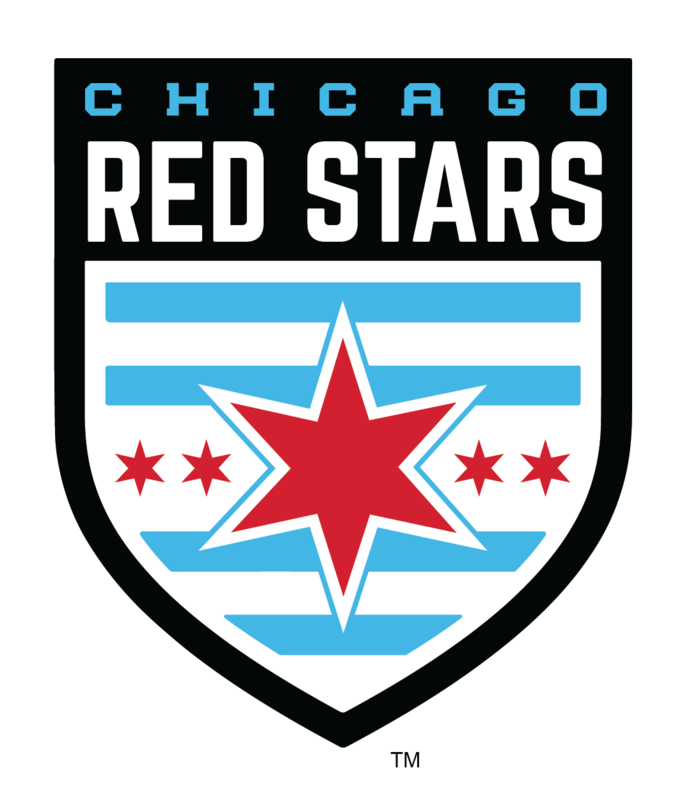 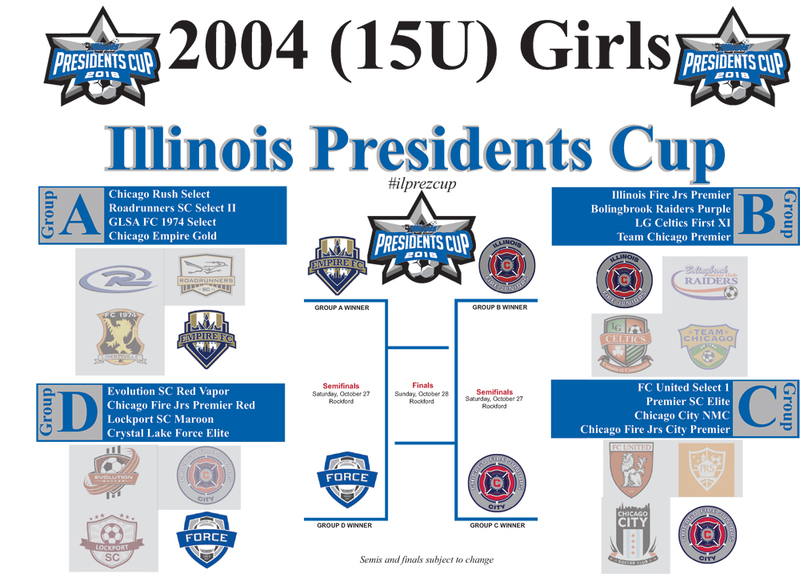 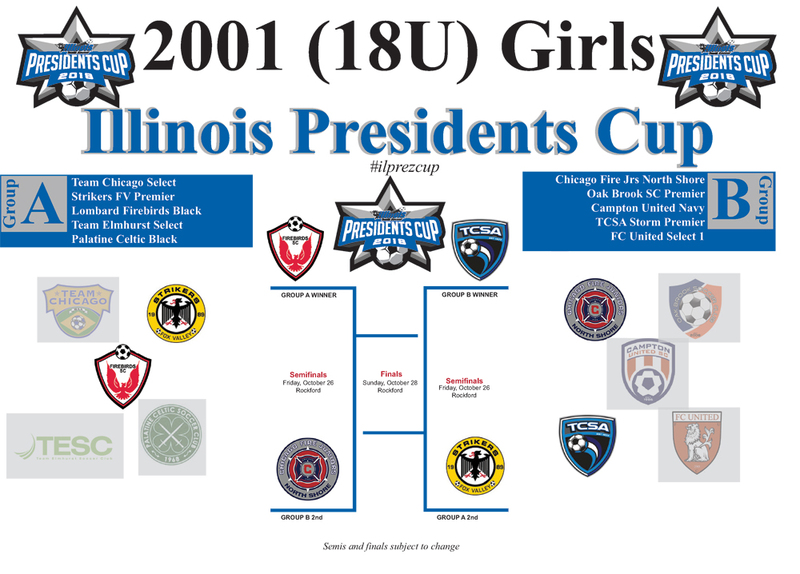 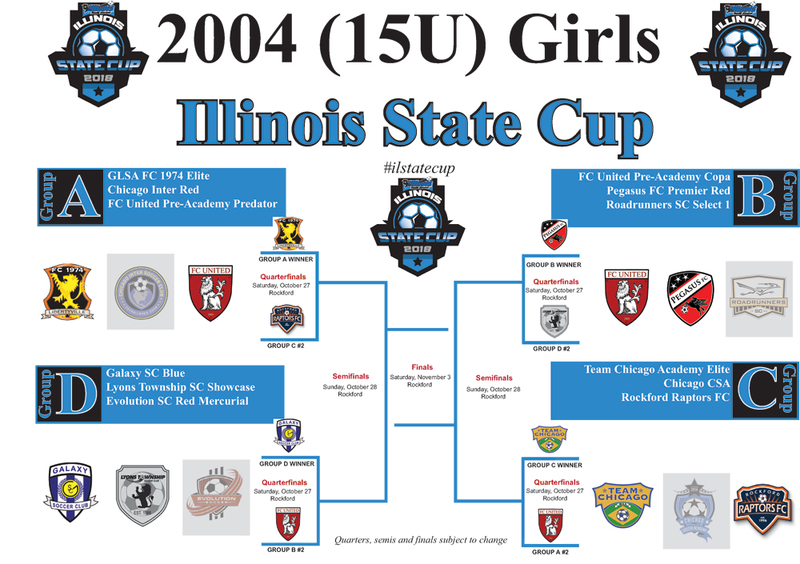 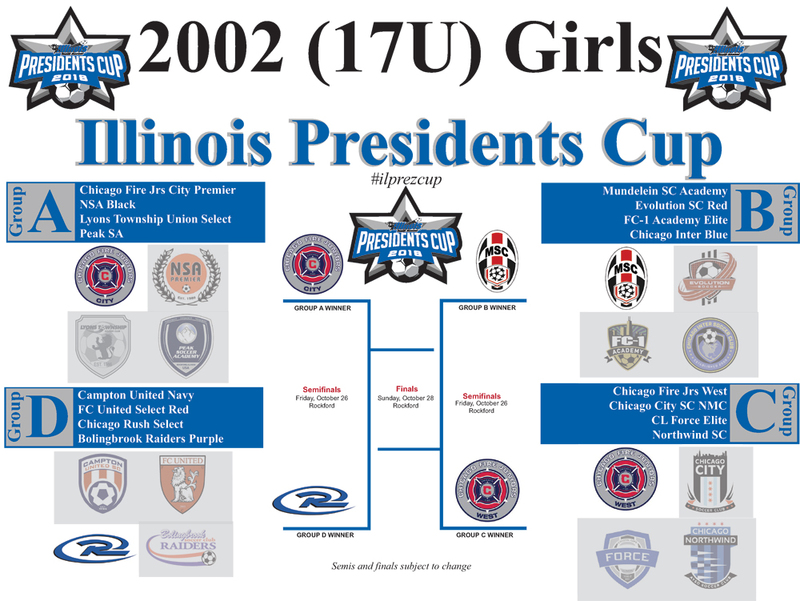 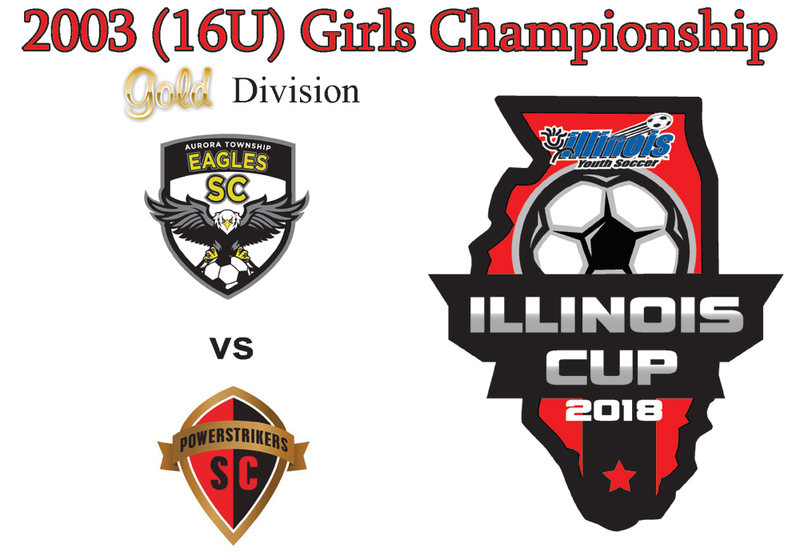 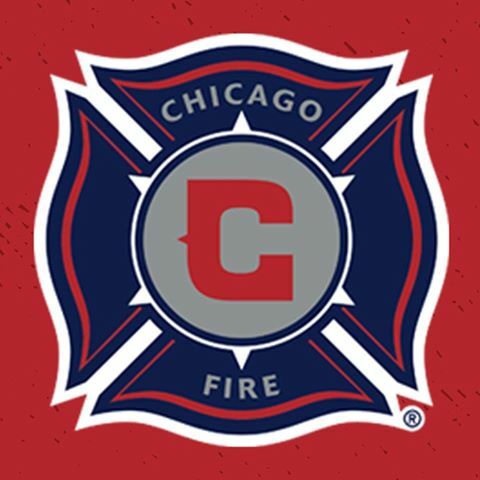 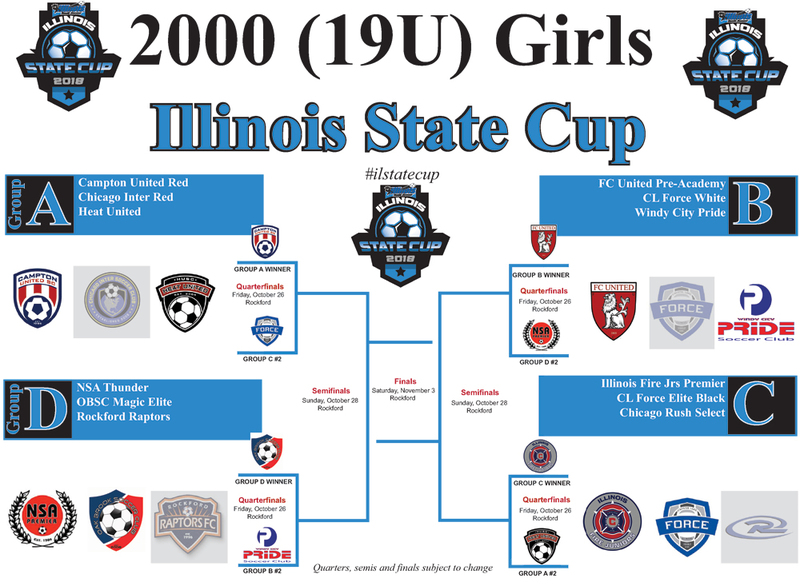 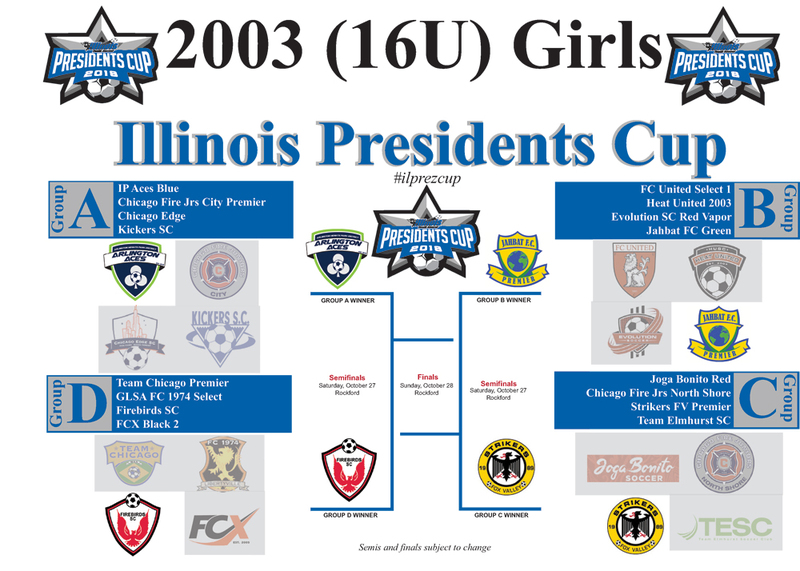 After hard fought group play games, teams have advanced to the elimination portion of all three state championship competitions with Presidents Cup and Illinois Cup titles being earned October 28 and State Cup crowns being won on November 3. 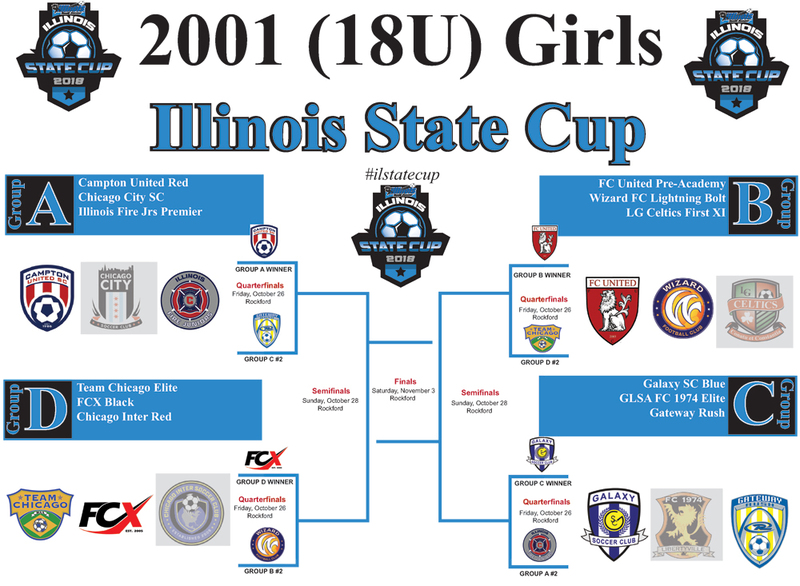 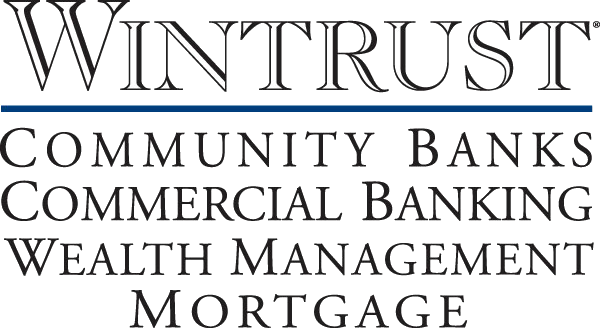 Here are the details for Illinois Youth Soccer Fall Championship Weekends Presented By Wintrust for October 26-28. 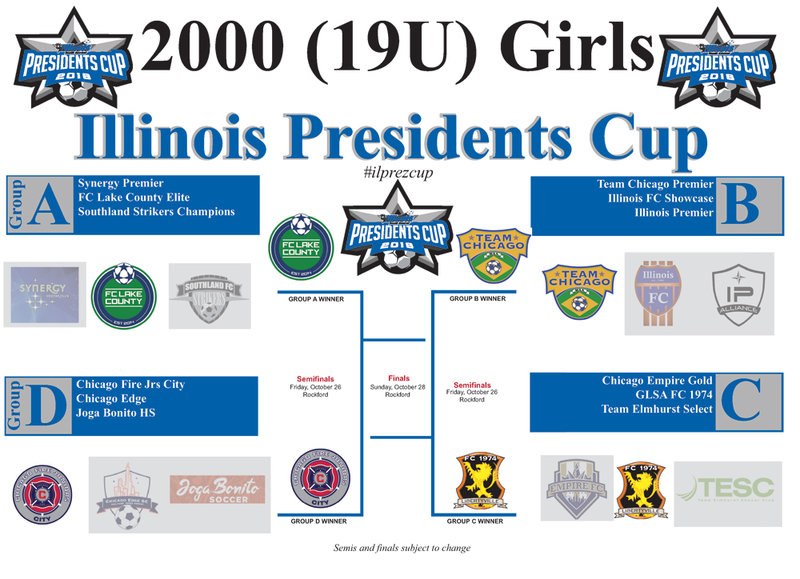 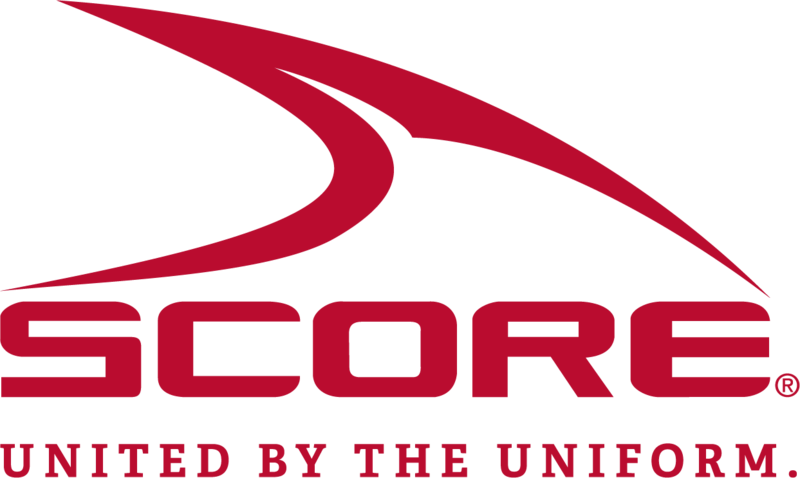 We will have a limited number of shirts on site for sale but find our full array of State Cup, Presidents Cup & Illinois Cup apparel at our SCORE Online Store.